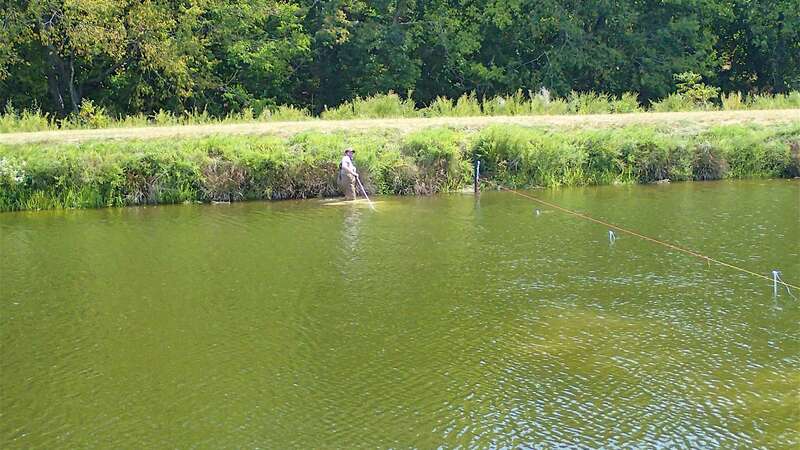 Mobile, scalable, modular barrier can deter and guide fish in varying sizes and configurations of waterbodies. 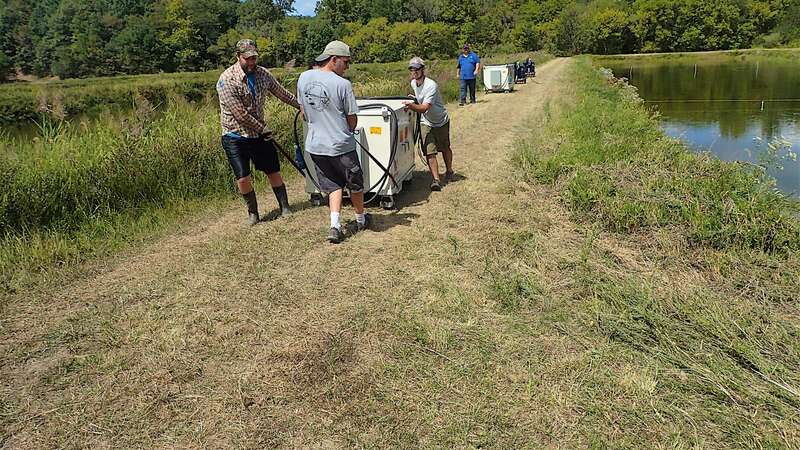 Illinois Natural History Survey, Illinois Department of Natural Resources, and the University of Illinois commissioned Smith-Root to design and build a mobile, scalable, modular barrier for use in lakes and rivers of various sizes throughout the state. The flexibility of the system required a modular design consisting of 9 units, each having an output capacity of 5 kW of pulsed DC. 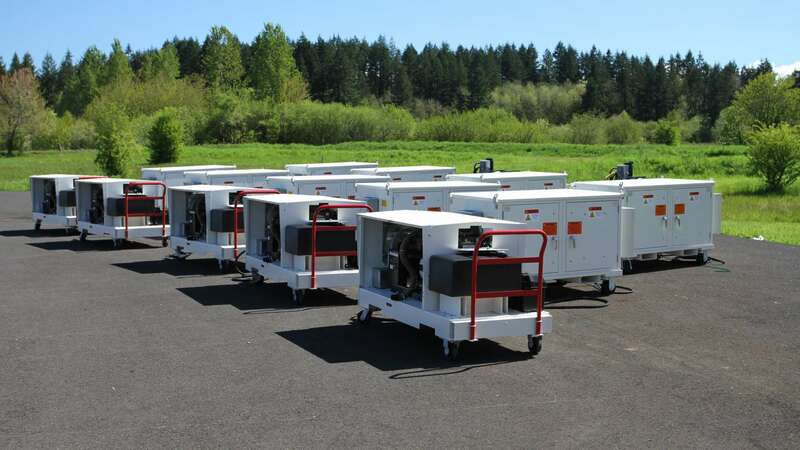 These units are capable of being operated in parallel, increasing the total output to a maximum of 45 kW in 5 kW increments. 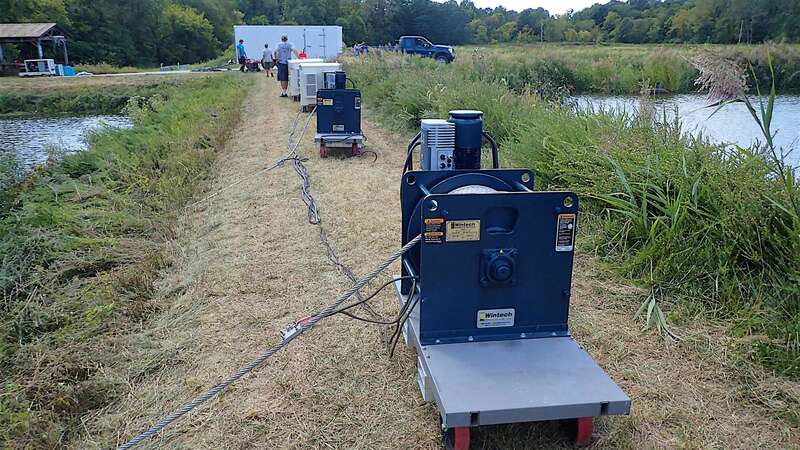 Output to the waterway is by means of two winch mounted, 300-foot long stainless-steel cable electrodes. 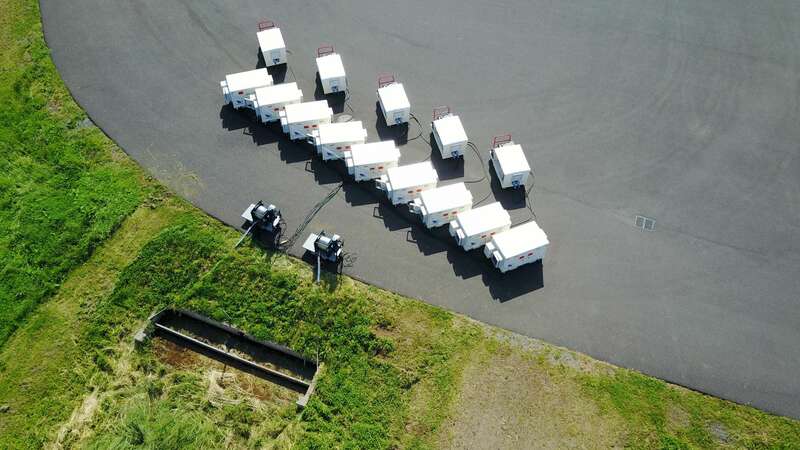 The system also includes 5 generators capable of powering all supplied equipment, allowing operation in remote locations independent of utility power. All system components are outfitted with casters for mobility. 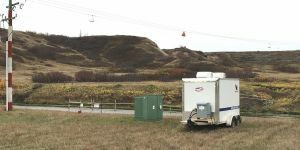 The modular nature of the system allows for deploying the equipment utilizing trucks, trailers, or boats, allowing installation of the equipment in a wide range of locations including remote locations without significant road access. This system incorporates Smith-Root’s variable voltage programmable output waveform technology in a new platform. 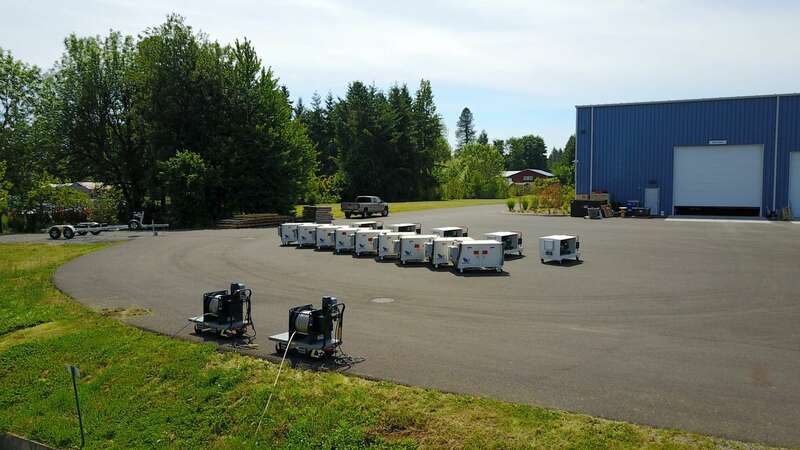 This provides the flexibility for system operators to tailor the system output to deliver the appropriate strength of deterrent electric field in a wide range of waterways of varying types and depths for a multitude of aquatic species. 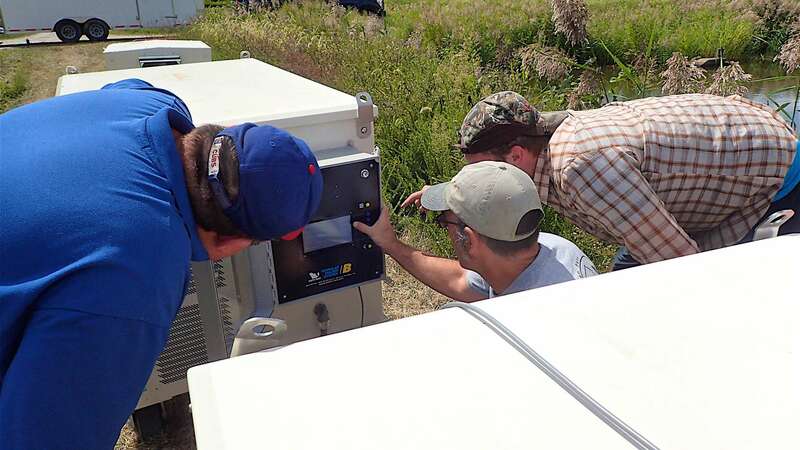 The system was manufactured in 2016-2017 and commissioned in Sullivan, Illinois in September 2017.